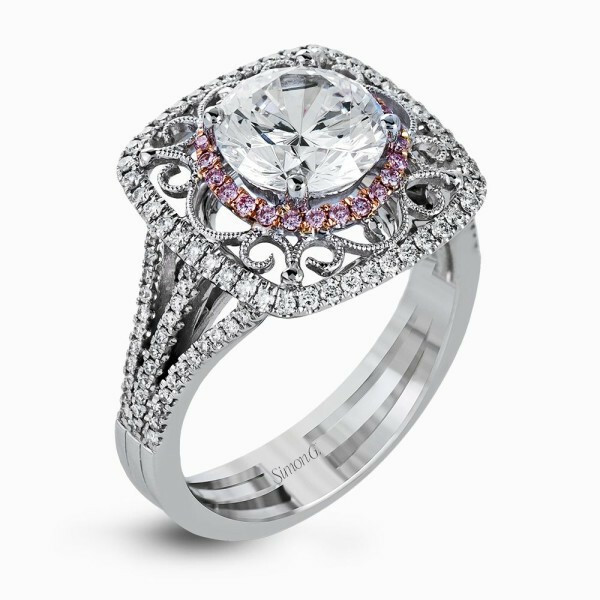 This Simon G. engagement setting is from the Duchess collection. 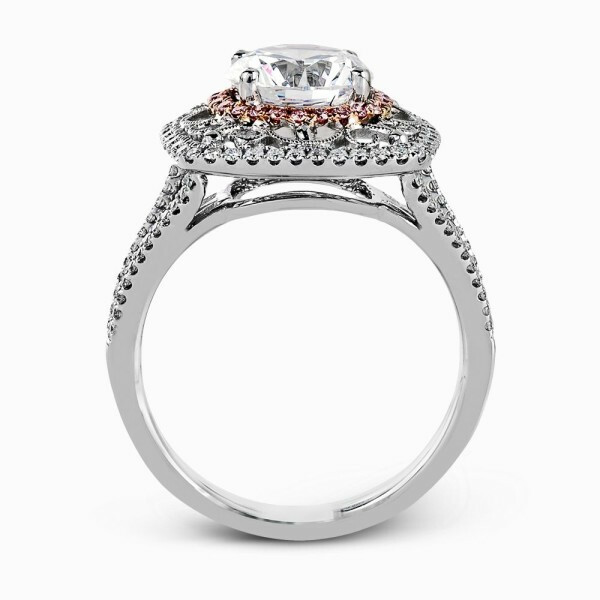 Crafted in 18kt white gold, it has two diamond halos; one fashioned of pave pink gems set in a ring of rose gold to surround your center stone; the other more cushion-shaped, dotted with dazzling diamonds. In-between is a milgrain-edged swirling openwork pattern. 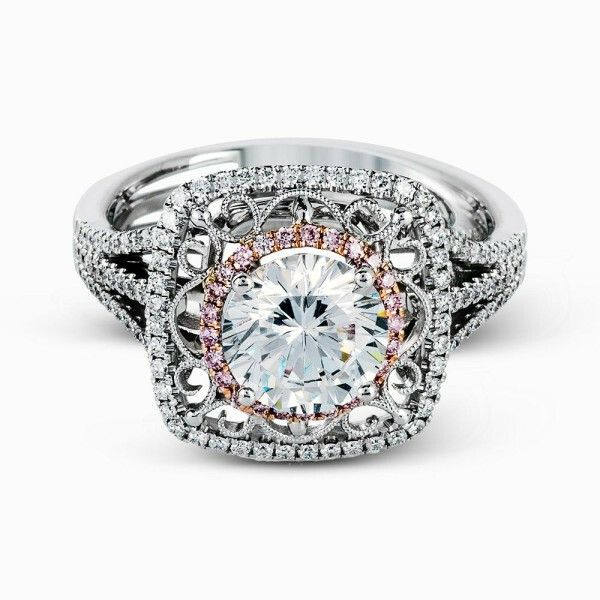 All this beauty rests on a split shank three-row pave band. This engagement mounting from Simon G. is intricately designed and vintage-inspired.